Most people are not affected by admitting to auto loan debt, though many are uncomfortable discussing credit card debt. Real estate debt has typically been regarded as a good debt, due to both the necessity of this debt for home ownership and also due to it being so customary. However, following the burst of the U.S. housing market bubble, many borrowers have been reconsidering whether the housing-related debt should be considered healthy debt. How will you afford payment? First and foremost, the affordability of a mortgage will be a significant factor in determining whether acquiring real estate debt is a prudent decision. Not only does this refer to keeping up with monthly mortgage payments, however, but affordability also entails the borrower’s ability to put forth a substantial down payment. While down payment will limit the loan options available to prospective homeowners, these sums will also play a major role in determining the overall cost of a loan. Essentially, the more that a borrower provides up-front, the less expensive the overall loan will be since the interest that accrues will be considerably less for smaller loans. However, borrowers should not spend their entire savings putting forth a down payment, as this could put them in a vulnerable position should any financial difficulties arise. Accordingly, borrowers should attempt to achieve a balance by offering as much as possible without the risk of future missed payments due to lack of savings. Plus, a higher down payment translates to less risk for the lender, and borrowers can typically receive much lower interest rates with higher down payments. When discussing debt, the subject of credit will inevitably arise. By definition, credit represents the risk that a borrower presents to a lender, and credit scores use a numerical calculation to provide lenders with a basis of comparison for borrowers. The lower a borrower’s credit score, the greater the risk is for a lender to finance a loan for him or her. With a higher risk factor for the loan transaction, borrowers with low credit scores will frequently be charged much higher interest rates on their loans, thereby paying more overall. 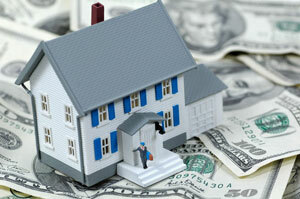 If your credit score is lower than desirable, take some time to bring it up before obtaining a mortgage loan. A large portion of borrowers obtain 30-year mortgages when purchasing homes to receive lower monthly payments as the loan is stretched out over a longer period. Considering this, borrowers should not be hasty and obtain a mortgage loan with lower credit if it is avoidable since even small fractions of a percent for interest rates will translate into thousands of dollars in interest payments during a loan’s lifetime. As such, if you can wait, do not rush into a mortgage commitment; rather, take some time to bring your credit score up, and the debt will be that much more worth the cost of obtaining it. How will this affect your debt-to-income ratio? When considering affordability, most lenders and borrowers assess this through an estimate of debt-to-income (DTI) ratio. This figure represents the comparison of a borrower’s total monthly mortgage debt payments to the borrower’s gross monthly income. For instance, if a borrower has a DTI of 50%, half of his or her gross monthly income is being applied to mortgage debt. Because of the risks involved with lending to borrowers with excessive DTI, lenders often impose restrictions on this ratio or offer higher interest rates to cover the cost of this risk. For healthier mortgage debt, borrowers should keep their DTI ratio at or below 30% to ensure that they can repay the loan, pay other outstanding debts, and afford the other various costs of living. Delinquent Payments – Primarily, making late or delinquent payments will result in noticeable damage to credit and may disqualify borrowers from future home financing or refinancing. Excessive Credit Card Debt – Additionally, borrowers who take on loans with mortgage payments that give them a high debt to income ratio often resort to shifting a high amount of debt onto credit cards. While some credit card debt is healthy and encouraged, keeping credit cards at a high balance in comparison to their maximum limit will result in degraded credit. Financial Instability – Borrowers that accept riskier loan programs with less advantageous terms may be putting themselves at risk of missing future payments. While adjustable-rate mortgages can be beneficial under the right circumstances, the rising interest rates could put some borrowers at risk of foreclosure due to an unexpected increase in mortgage payments. When properly managed, mortgage debt can be tremendously beneficial for borrowers in raising their credit score and serving as healthy debt. Primarily, the deciding factor in whether this debt will be helpful or harmful comes down to whether or not you can make payments on time. With a consistent record of on-time payments, borrowers will see a substantial boost in credit score, which can translate to exceptional savings on interest payments for any future loans or refinances. Furthermore, for those who can afford it, bi-weekly payments can be even more profitable and helpful in establishing outstanding credit. With these payment schedules, borrowers can make payments every two weeks, rather than monthly, which will greatly diminish the cost of interest over the course of the loan while paying off the debt faster. Ultimately, there is no distinction between good and bad debt. Rather, what determines whether the debt will have a positive or negative effect on a borrower’s credit will be the individual circumstances of that borrower and his or her repayment habits. To protect yourself from any future financial distress that could result in damaged credit, prepare emergency savings and contingency plans that can fund mortgage payments in the event of any unexpected financial difficulties. Plan for all possibilities and do not rush to make a mortgage commitment until you are entirely ready, regarding credit, financing, and personal responsibility. While you may need to delay your American dream of homeownership, this delaying of gratification can be to your advantage, so that when you do make that home purchase, it will be a decision without regrets and with only bright future expectations.